Spring has officially sprung, and we’re excited for the warmer weather and beautiful flowers and trees that will begin to grow again! 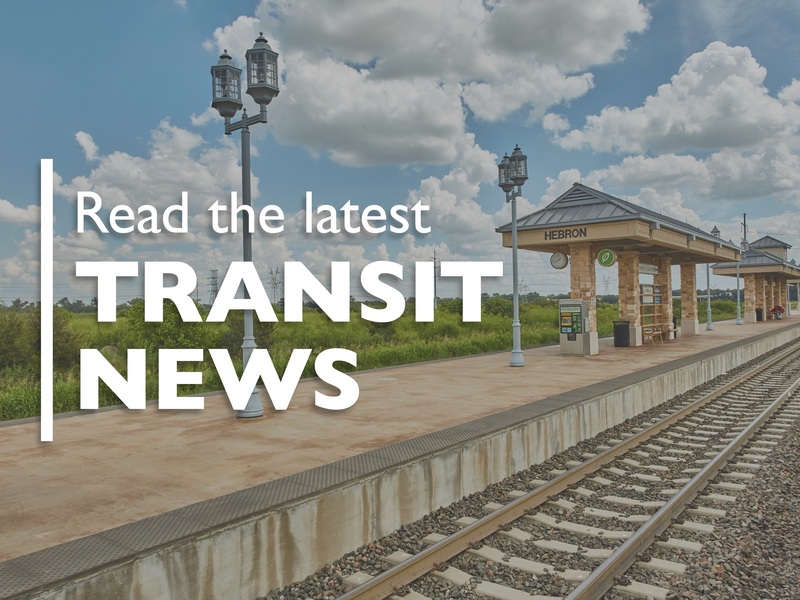 Not only is the weather changing, the public transit industry is also “blooming” with exciting news and updates. We’ve gathered some of the top stories this month that you can check out below! With Congress looking to move an infrastructure bill forward this spring following the American Association of State Highway and Transportation Officials (AASHTO) 2019 Washington Briefing, the American Public Transportation Association (APTA) recently released new research identifying at least $232 billion in critical public transportation investments. At least $232 billion in critical public transportation investments are identified for funding by an infrastructure bill. These investments are necessary to provide safe, reliable and convenient public transportation and to meet the mobility needs of communities of all sizes. Public transportation investment yields a 4-to-1 return to the U.S. economy of $928 billion in economic activity over the next 20 years. The report was released during APTA’s annual legislative conference and comes as Congress looks to move an infrastructure bill forward this spring. It includes APTA member-specific data on regional and local public transportation projects in the U.S., from those in need of major repair or maintenance to new priorities including terminal constructions and electric bus fleets. Members identified more than $5 billion in cutting-edge electrification projects that would modernize systems nationwide. Earlier this month, Redfin – real estate brokerage that uses modern technology to help people buy and sell homes – revealed its top-10 list of best cities for public transit. New York, Union City, NJ; and San Francisco topped the list which looked at cities of all sizes, according to Redfin’s latest Transit Score® ranking – a tool by Redfin company Walk Score®, rates locations based on how convenient they are to public transportation. In the past years, Redfin’s annual Transit Score report typically only examined large cities with a population of 300,000 or more. However, this year Redfin is showcasing the raw ranking, unfiltered for population, to show that public transit is not reserved only for the largest cities. We checked out the list and to our surprise, DFW cities didn’t make the cut! Check out the full list here and leave us a comment on why you think are cities weren’t included in the list. Virgin Hyperloop One, the proposed transportation system that would transport people in a tube-enclosed pod from Dallas to Houston in an estimated 30 minutes, received a huge boost from the federal government during SXSW 2019 earlier this month. U.S. Transportation Secretary Elaine Chao said during the festival that she has established a transportation technology council to clear regulatory and legal roadblocks for the Virgin Hyperloop One concept and similar transit innovations. In September 2017, Virgin Hyperloop One picked the Texas route that would connect Dallas-Fort Worth, Austin, Houston, Laredo, and San Antonio. The Hyperloop would offer two stops in both DFW and Houston, and one each in Austin, San Antonio, and Laredo. Virgin is not certain when Texas passengers might be able to travel on Virgin Hyperloop One’s network, but the company hopes the first route will be ready by the end of 2028. Have a question or comment about one of the stories we featured, or is there a big headline we missed? Leave your comment below. We’d love to hear from you! Adrienne Hamilton, thank you for your blog post.Really thank you! Awesome. Thanks for reading, we appreciate your support!